IRVINE, CA--(Marketwire - 07/23/09) - BioLargo, Inc. (OTC.BB:BLGO - News) today announced that the Star Milling Company, of Perris California, had begun distributing its Odor-No-More(TM) products, including its popular Animal Bedding Additive. "Sales of our Animal Bedding Additive product are brisk," stated Joe Provenzano, VP & Product Manager for BioLargo. "Customers find that just a handful of our bedding additive saves them time and money by reducing bedding consumption, labor, disposal and fly infestations, while eliminating odor and moisture from their animal enclosures." Star Milling is a leading feed and grain supplier in the southwestern United States, based in Southern California. Family owned, with industry experience dating back to the 1920's, the mill serves the dairy, poultry, commercial aquaculture, project animals, home livestock and companion animals like horses, dogs and cats. 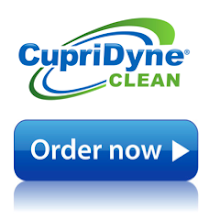 It has a reputation for quality products, state of the art equipment, and reliable customer service. The company's website is: www.starmilling.com. BioLargo's business strategy is to harness and deliver Nature's Best Solution(TM) -- free-iodine -- in a safe, efficient, environmentally sensitive and cost-effective manner. BioLargo's proprietary technology works by combining micro-nutrient salts with liquid from any source to deliver "free-iodine" on demand, in controlled dosages, in order to balance efficacy of performance with concerns about toxicity. 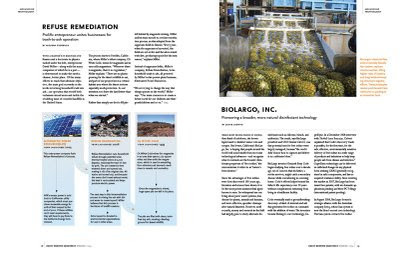 BioLargo's technology has potential commercial applications within global industries, including but not limited to agriculture, animal health, beach and soil environmental uses, consumer products, food processing, medical, and water industries. 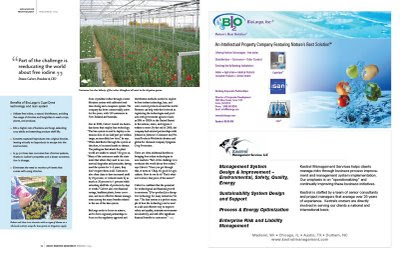 BioLargo's strategic partner Ioteq IP Pty Ltd. was named a "Top 50 Water Company for the 21st Century" by The Artemis Project(TM); BioLargo markets Ioteq's iodine based water disinfection technology, the Isan(TM) system, and works with The ET Horn Company as Master Distributor for its Odor-No-More(TM) products. The company's website is www.BioLargo.com. BioLargo, Inc. (OTC.BB:BLGO - News) today announced that Tri-Valley Alpacas, Inc. of Brookville, Ohio, had begun distributing its Odor-No-More(TM) products, including its popular Animal Bedding Additive. "We continue to bring on distributors regularly," stated Joe Provenzano, VP & Product Manager for BioLargo. "Customers find that just a handful of our bedding additive saves them time and money by reducing bedding consumption, labor, disposal and fly infestations, while eliminating odor and moisture from animal enclosures. 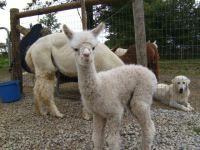 In this situation, we also worked closely with Tri-Valley to develop the best methods of use for our products to accommodate alpacas and other camelids." We love our animals, but let’s face it; occasionally, they stink, and anything that can ease the strain on our noses, while also helping us escape the wrath of Mother Earth, is worthy of attention, and perhaps, purchase. 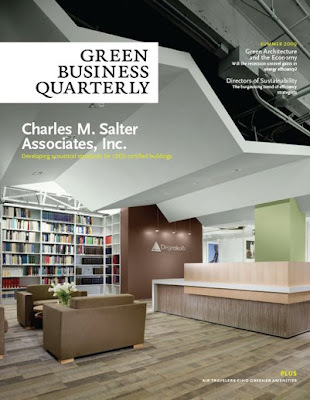 So, in the midst of all the chaos on equity markets, the timing of an announcement in the fourth week of June by Irvine, California-based BioLargo Inc. (OTCBB:BLGO) of a major distribution deal made waves. The company told the world it had forged links with distributor E.T. Horn Company (located in nearby La Mirada, Calif.) to market its Odor-No-More™ products with a multiple-truckload order of approximately $100,000. The first shipment is expected to be ready for retail delivery in early July. 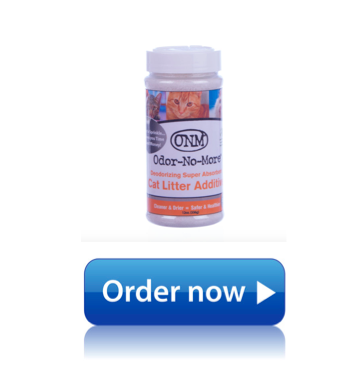 Odor-No-More, the company’s website boasts, is the most effective odor and liquid eliminators for pet owners these days. The environmentally safe and non-toxic offering solutions provide animal owners more time to enjoy their animals as opposed to cleaning up after them. The technology consists of a proprietary blend of micro-nutrient salts that are commonly found in animal feed supplements and multi-vitamins. Far from the dollars and sense of the day’s announcement, BioLargo’s story is an emotional one, brought about by a near-tragedy in the family of the company’s founder. Kenneth Code started the company around 10 years ago while caring for his father, a stroke victim, who found himself bedridden and wheelchair-bound. Code found a way to keep his father and other residents safe from primary and secondary infections, by developing a technology that would go on to garner two U.S. patents, while two other products have applications filed on their behalf. BLGO's proprietary technology works by combining micro-nutrient salts with liquid from any source to deliver "free-iodine" on demand, in controlled dosages, in order to balance efficacy of performance with concerns about toxicity. BLGO's technology has potential commercial applications within global industries, including, but not limited to, agriculture, animal health, beach and soil environmental uses, consumer products, food processing, medical, and water industries. It is also said to be effective at reducing greenhouse gases. 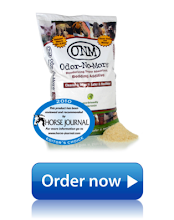 Several noted animal trainers, particularly those who work with racehorses, have gone on record as saying Odor-no-More products leave their barns smelling better than ever before. Clearly, the word of mouth is getting out about the product. The stock price of BLGO, listed at 30 cents the day of the announcement, is just off the bottom of a 52-week range that peaked last July at $1.40, which should make it attractive to investors with the smell of risk in their nostrils. Copyright © 2009 AllPennyStocks.com. All rights reserved. Republication or redistribution of AllPennyStocks.com's content is expressly prohibited without the prior written consent of AllPennyStocks.com. AllPennyStocks.com shall not be liable for any errors or delays in the content, or for any actions taken in reliance thereon. The Federal Registry Summary of the RED for Iodine and Iodophors can be read here.